For all you lovers of gorgeously sparkly nail polishes - then feast your eyes on these - the brand new exclusive Mirrorball collection from Models one. Boogie Nights - multicoloured mix of purple, pink and blue! The Mirrorball Collection launches at their rather funky Bottleshop in Westfield Shopping Centre London (Shepherd's Bush) on Thursday 6th Sep, (have you seen it...looks amazing, pic below), then on the website Monday10th and then finally in Boots stores nationwide from Wednesday 3rd Oct. .....Can't wait!! have you seen the Hed kandi set...bought them for my mate for her hen party when we all went to ibiza...the colours were amazing!! i know the shop is such a clever concept!!! Think i may have to but the set of these when they come out....actually my birthday is coming up!!! 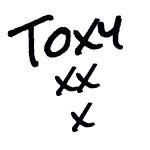 (now wheres my list)!!! Oh my goodness,those look insanely gorgeous!!! so do i...just wish i lived in london to go there!!! they need to set one up in Cardiff!! These are quite drool worthy! Omg the shop looks so amazing ! I wish i could go London right now ! These polishes look amazing! I love the colours! No problem...was a fab review!! 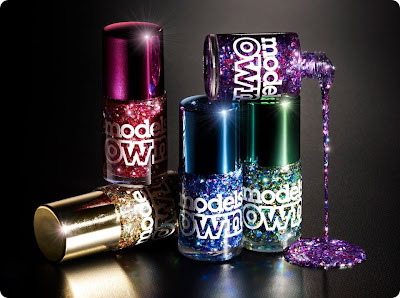 I lovelove Models Own polishes and these look amaaazing, perfect for the Christmas season! Iv got a few Models Own polishes and the colours are always really good and do have staying power ! I wanna go there and just hang out in that display...right now! I wanna go shopping there right now! Too bad, I'm clear over here...in the US. I really need to get myself to London! I love all these colors so much! haha.....me too....lets hope they start opening up bottle shops in other areas apart from London!! WOW! Those shades are AMAZING!! My head is exploding! LOL!! I also want to go hang out in that display! That is so awesome! Ah, those pictures gave me the chills!